TSL Designs a full service web site development company, offering Flash animation, web design and development from a one-page brochure site to a corporate e-commerce site. Creating an affordable web site for you is our priority. We also offer Flash web site design for your entire site or just the introduction. We can develop your website with a web log for the entire site or just one page. This is perfect for the latest "news" of your company, announcing special events or sales, and for keeping your content fresh, inviting repeat visits. This service is affordable and offers scalable pricing. Plus it gets viewers to return to your site! 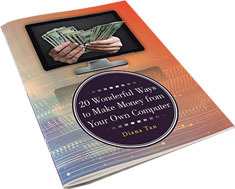 This e-Book highlights the methods the author has successfully implemented to earn a comfortable income working from a home office since early 2004. It is easy to read and informative with pictures included for illustration. With gloomy worldwide economy, this book provides fresh ideas and insights for the retrenched or unemployed to work and earn money in their pajamas, right in the comfort of their homes. 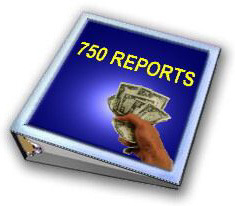 This is a list of 750 Best Seller Reports and Manuals that you can download and RESELL. All Reports have conveniently been categorized and compressed for easy downloading. Click below for the details on Titles & topics covered. E-mail marketing is a powerful online marketing tool, if used properly, without spamming. Learn the secrets of successful e-mail marketeers who have make millions in total profits. Full resale rights. Click here to view our logo designs. Click here to view the Virtual Assistance services we provide.